The GLI Pool Products app allows you to see all of GLI’s products including liner patterns, safety covers, solar reel systems, safety fencing. Its a service guys dream to be able to show customers products on a tablet right in the backyard. You can also register a warranty of a product on the app. GLI Pool Products can be found on LinkedIn, Twitter, Facebook, & Instagram. QuickBooks Online is the most popular accounting software for small business. QuickBooks online allows you to conduct your business while on the go. One thing that sets QuickBooks apart from the others is the ability to snap pictures of receipts and attach them to transactions. You can generate invoices, email them to clients, and get paid on the spot. Google Calendar is probably the most overlooked app available. We used this app to schedule our entire service crew. Our guys would be notified of any changes in the route in real time, Jobs can be color coded for each crew or service, our crew can see days in advance what’s going on day to day and week by week. Guys can type in notes if they have any input to the job and the office would be notified of any changes right away. If you have a website and want an @yourbusiness.com email.. Sign up for a Google G-Suite Account. The Latham EZ Measure App is an onsite tool the allows you to measure, document and submit measurements for pool liner replacements and safety covers for all different shapes of pools. You will get all the measurements right the first time by tracking your drawing right on your smartphone or tablet. No return visits will save your crew time and money. You can also add pictures of the pool in the app. Latham EZ Measure will detect common issues or oversights and warns the user to correct the entry before leaving the site. The job can be stored with pictures and sent to Latham or to your Distributor for quoting or ordering. AB My Pool by GLI Liners is a fast, easy & accurate way to measure your pool liner or safety cover. Add users, Enter your distributors information, add multiple projects, take pictures, choose the type or shape of the pool, get help on how to measure a pool, load examples, enter customers information, type in measurements, Select bead type and liner pattern, review your project and email it off to your distributor for a quote. Tara Liners is set to release a new liner measuring app sometime in February or March 2019. A beta version is out there being used by the TARA Reps. I got an opportunity to check it out at the Mid America Pool & Spa Show back in January. The app works very well and will offer some features not currently available from other apps. Dropbox is a place to store all of your work and pictures. Get to all of your files quickly on your phone, tablet or computer. Use the scanner feature to scan documents or receipts and save them as a PDF. Share files easily with your accountant, employees, or family. Stay up to date with your teams activity in real time in one place. I wish I would have had an app like this when I had a pool weekly service business. From what I have read this does look like the best pool service app on the market. Track all your customers, locations, and multiple bodies of water. Customize your routes, email service reports to your customers, add recurring services, upload pictures, create shopping lists, invoice your customer, track your service history, and know where your techs are at all times. Track water tests and dosages, sync your info to the cloud so you always have the most up to date information, create parts lists and so much more. This app sounds amazing. 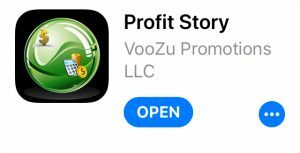 Profit Story & apps like it are very important to the life of your business. Calculate your selling price, cost price, gross profit margin, markup, & break even point. Profit Story will quickly show you the impact of discounts you offer to customers. You are in business to make a profit. Use Profit Story to see just how much your are or aren’t making in your business. Pool360 & Pool360Mobile by Poolcorp is the most used tool in my phone. I can search for the parts or chemicals I need, check my cost, make sure the item is in stock at my local Superior or SCP location, get a parts breakdown and schematic, add it to my cart, template, or shopping list, and submit my order for delivery, priority pick up, or will call pick up. This app and website is very useful. If you are not sure how to use pool360 I encourage you to get in touch with your local sales rep. Pool360 can do so much for you in your business. The latest addition is pool360Pay. You can now view your open invoices and select which invoices you want to pay. If you have an account with Superior Pool Products or SCP, download this app today. This app contains products through PoolCorps NPT Division including tiles, pavers & pool finishes. 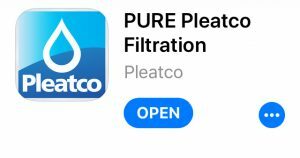 If you are a contractor that installs tile, pavers or pool finishes you can use this app at the kitchen table to look at and compare options, colors and styles. 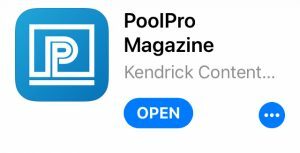 PoolPro is the definitive trade publication for the swimming pool industry. This app will allow you to read the latest articles written about retail, construction, equipment, commercial, service, marketing, etc. This is a valuable magazine at your fingertips. The more you learn the more you know about your business and what’s going in in your industry. This app will allow you to engage with your customers in your retail store or at the kitchen table. 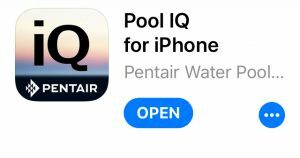 You can view all of the Pentair pool products, view vivid photos, convey benefits, watch attention grabbing videos, or use the interactive calculators created by Pentair. This app is the first of its kind. Put it to good use in your store using a tablet, IPad, or interactive media display. Your customers will be impressed. Track jobs, manage a calendar, look up and search for filters using the filter finder, and watch videos. Please let me know if I’ve missed something. If you are using an app that works well in your pool business please comment below or join the conversation on our Facebook, Twitter, Instagram or LinkedIn Pages.